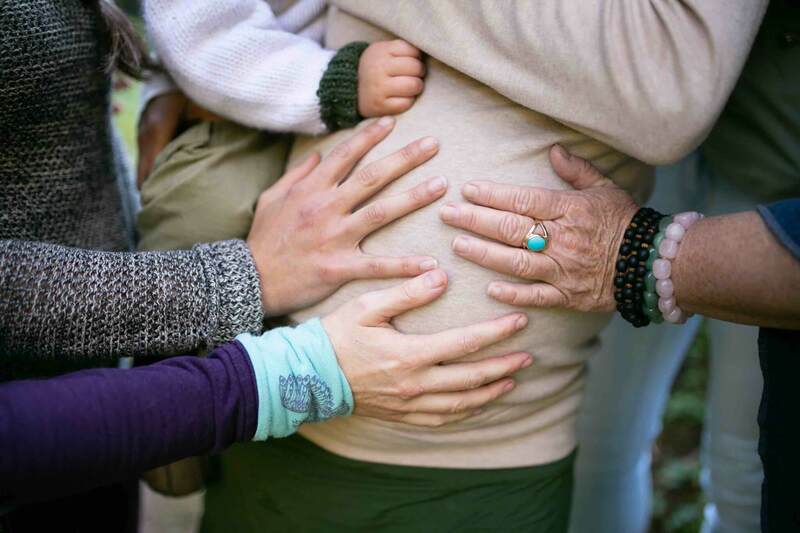 Pregnant people and new parents and infants on Salt Spring Island have access to state of the art midwifery care for medical support in the childbearing year. Para-medical, social, counseling, and educational support is available through Island Health Public Health, nurse practitioners and second birth attendants, SSI Community Services and the Family Place specialized programming for parents and the early years. In addition to this institutional support, there are lactation consultants, La Leche League groups, alternative health practitioners who have specialized skills and services, and there is a Doula Collective dedicated to serving the needs of those in the childbearing years. Together since 2009, the Doula Collective is a group of up to 12 active women practising on Salt Spring Island. This event was created from conversations between the Doulas, midwives and other health professionals involved with people in the birthing years, as a collaborative offering in response to several place-based, socioeconomic and health risks and realities surrounding birthing people and their families. A Doula means “a person who serves” in Greek. In this context, it means a trained professional who assists birthing people and their families during pregnancy, labour and postpartum with emotional, physical and informational support. During labour, a Doula offers a range of direct and indirect support, knowledge, skills and tools to the labouring person and their partners. In the postpartum period, a Doula offers knowledge and assistance in the home environment and via distance communication tools to support breastfeeding, infant care, emotional and physical health and adaptation to new family life for birthing people, and their family members. Some Doulas have related skills and services such as guiding body-based preparedness for birth and healing post-birth, ritual guidance, childbirth education teaching, placental encapsulation, and more. 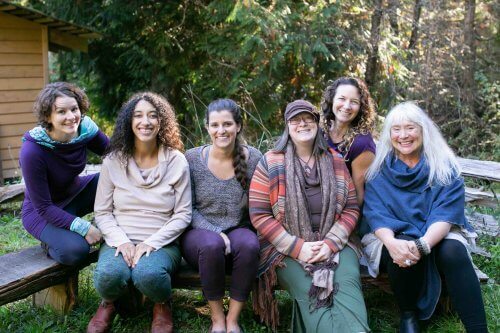 See saltspringdoulas.ca for more information about the Salt Spring Doula Collective. Community in the Birthing Year is an event to bring together pregnant and post¬partum families with each other, and with birth and postpartum health professionals. The event will provide a facilitated, safe and warm opportunity to form relationships inherently central to the meaning of “social support” at this critical time of life, and to share and learn skills and resources to build resilience and wellness for new mothers, and their families. The purpose of the event is to facilitate building or furthering a network of health information and social support to enhance wellness on SSI for people in the childbearing year. The event will begin with a panel discussion with birth and postpartum professionals, intended mostly to allow for audience questions and discussion. Participants will be invited to a facilitated small group rotation through three discussion topics: “Postpartum Health for Infant and Mother”, “Breastfeeding Myths and Realities and Partners”, and “Family Health and Social Support”. Children who want to partake in a kid’s corner will also have the opportunity to interact with each other, and with Nomi Adamson, of the famed “Songs and Stories with Nomi” at the SSI Library. Participants will be invited to take home pre-made, frozen, home-cooked meals. 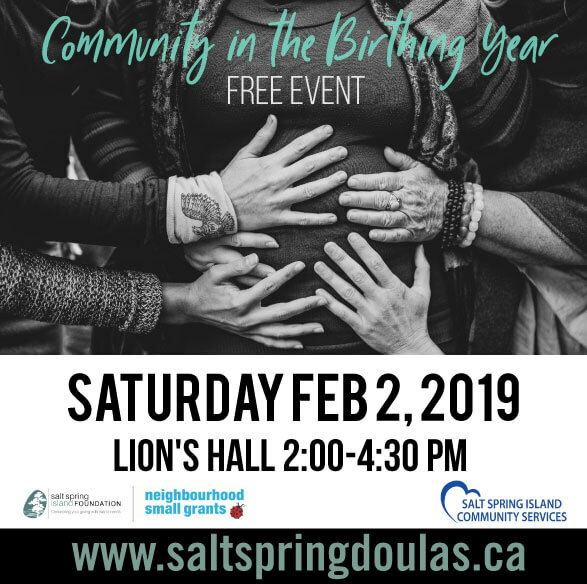 The Doula Collective gratefully acknowledges the funding that made this event possible from the Neighbourhood Small Grants Program (https://ssifoundation.ca/foundation-initiatives/neighbourhood-small-grants/) through Salt Spring Island Foundation and with assistance of SSI Community Services. The Doula Collective is so grateful to the generous additional support from Country Grocer, Thrifty’s, Andrea Palframan, SSI Exchange and Contour Grafix. This event is for pregnant and postpartum people with a child up to 12 months of age, and their family supporters.